Our Spring Uniform Sales starts today! April 1st to May 31st! 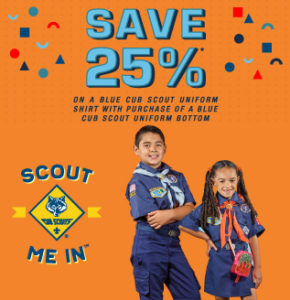 Purchase a pair of blue Cub Scout uniform pants and get the blue Cub Scout uniform shirt for 25% off! 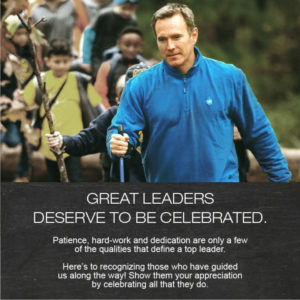 Get your Scout in uniform for the Summer activity season! 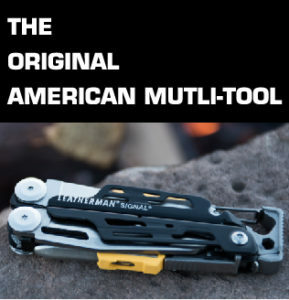 Don’t forget to Like us on Facebook to keep up with all of our Scout Shop news! Let us do your Scout sewing! We can sew patches on New or clean Scout shirts and sashes for only $3.00 per patch! Give us two days to do the sewing so you don’t have to!